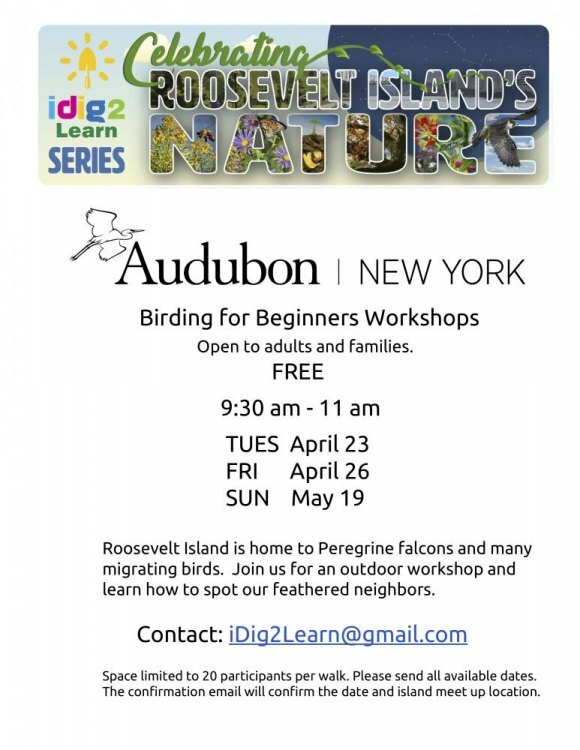 Home » Around NYC » April 26th, iDig2Learn: "Birding for Beginners"
Roosevelt Island is home to Peregrine falcons and many migrating birds, according to iDig2Learn, a group that seeks to teach nature through hands on experience. You're invited to join them for a free "outdoor workshop and learn how to spot our feathered neighbors." Participants for each of three workshops is limited to 20. 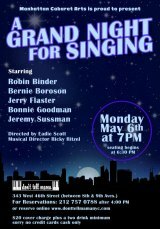 Contact iDig2Learn@gmail.com to reserve a spot. Please include which dates you are able to join in.